HARARE – United Family International Church (UFIC) founder Prophet Emmanuel Makandiwa has scoffed at statements aligning him to any political party in Zimbabwe after his recent prophecy on bloodshed due to mass action saying he has no price tag for any of the parties to buy him. Speaking during yesterday’s sermon, Makandiwa said no amount of money can buy him. 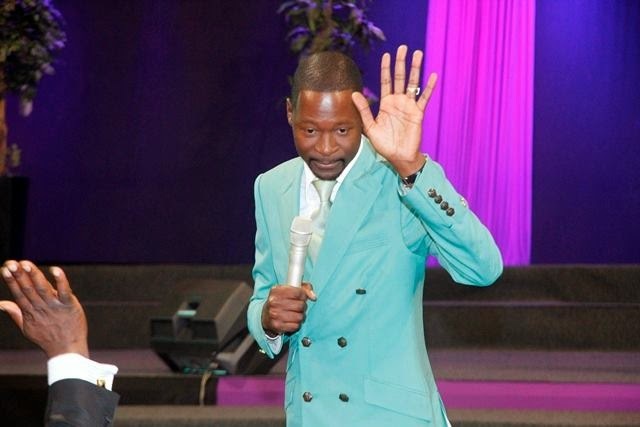 Scoffing at the news doing the rounds that he was used by Zanu PF to try and dissuade Zimbabweans from conducting mass action, Makandiwa said: “This is what you hear, you say something as a prophet but people misinterpret, I gave you a prophecy recently, but you hear the same people who cannot hear from God worse off. Makandiwa emphasised that he was not aligned to any political party and hence his prophecy was apolitical and beneficial to the nation. Responding to some sentiments that his prophecy was nothing but a response to a call by the opposition party MDC to hold protests, Makandiwa said this prophecy was publicly given way before there was any announcement or need for mass protest, as both the MDC and Zanu PF were working together in the unity government.